Over the past few weeks I have been busy installing and building a PC workstation for editing. The need for a PC workstation was always there. However I waited until it became a serious requirement for editing before jumping into a PC. After much research through various avenues including the often useful tool Twitter, I settled on a Asus 16” Laptop. Glanicing at the dimensions of the Asus, I realized the laptop was nearly twice as thick as my 17” Macbook Pro, and nearly as large. This is largely due to the fact that the Asus has larger fans, and more ports available such as HDMI, E-Sata, and USB 3.0. Editing on the Asus performs admirably. The Laptop churns through footage using the extremely fast USB 3.0 with Caldigit Raid drives. The help of the Intel i7 chip helps to process all the HD footage with ease. Running either Edius 6, Sony Vegas, or even Lightworks, the laptop performs with excellence. I have yet to try Avid Media Composer 5.5, but look for that soon, as I will be getting my hands on an Avid 5.5. Using Mpeg Streamclip to transcode footage from my Canon 7D performed very well. It still remained slower than my Mpeg StreamClip on my Macbook Pro. Closer inspection revels that although this is an i7 Intel , its only clocked at 1.8ghz, where the Macbook Pro clocked at 2.66ghz. Thus my Macbook Pro was able to transcode, and compress faster than the Asus. The Asus Laptop has the ability to add extra computing power or GPU, when needed. This was really abundantly clear when I tried to grade a 1080p H.264 file natively. Adding different filters and looks, to the shot, provided no hiccups upon playback of the timeline. A draw back I found with this laptop was the internal speakers. The laptop comes with Altec Lansing speakers with SRS Premium Sound. However, they just did not seem to have the same depth as my Macbook Pro. Even after adjust the equalizer, they just did not sound as smooth as the speakers on the MacBook Pro. Battery life running at full performance was abysmal, toping out at about 40mins. However you can getting longer battery life by reducing the performance of the laptop, but it then turns the editing workstation into a web surfing email machine. Not an ideal scenario to edit with. Therefore I recommend staying on power whenever possible. The HDMI port allows you to connect to amlost any display to use as a second monitor for editing, or previewing your work. A very nice welcome addition over my Macbook Pro. 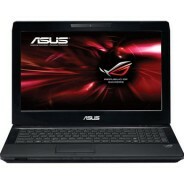 Overall the Asus Laptop is a very good editing workstation at a very reasonable price. The extensive ports available to use including USB 3.0, Express card slot, SD Card reader and E-Sata means you can ingest and edit almost any format. Just remember to stay plugged in, when cutting. Great write up, I can’t believe you finally got a PC. Windows 64 must be blazing fast. We are still on XP for our work stations. It does work really well. There are few hiccups there…but that may be caused by initial set up. The USB 3.0 is fast. E-Sata and HDMI for a second monitor is great! Now I want one. First I need to save some money! Time for me to start saving…I am going to need this! Beautiful, just fabulous! Too bad we do not get more of these. INever used a PC before… Thanks for the write up .Really thank you!